This statistic shows the forecast number of military retirees in the U.S. from year 2018 to 2028. 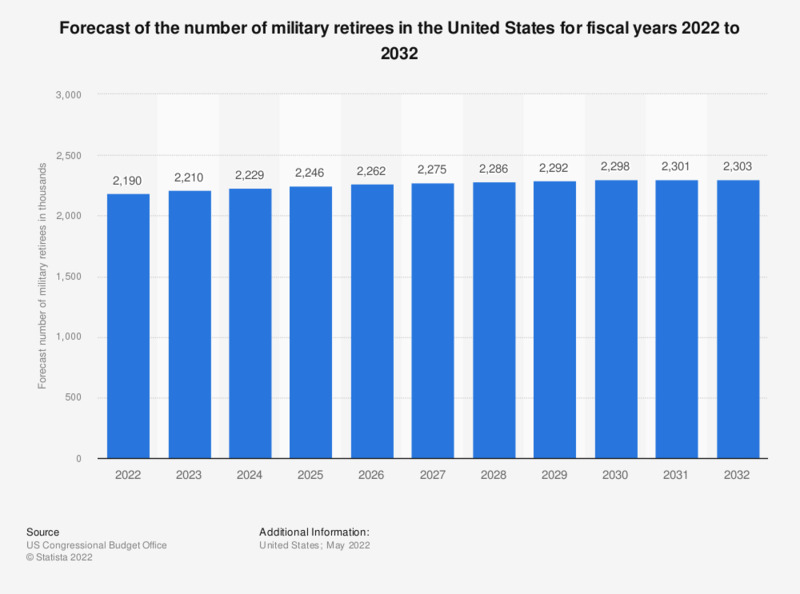 The estimated number of military retirees in the U.S. in 2028 stands at 2.2 million. Do you think the military has done too much, too little, or the right amount to adress sexual harassment?